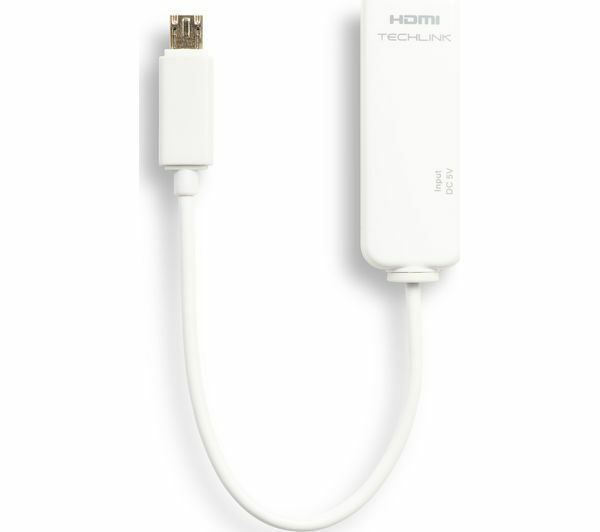 Connect your smartphone or tablet to a compatible TV, monitor or projector using the Techlink MHL 2.0 to Micro USB Adapter. 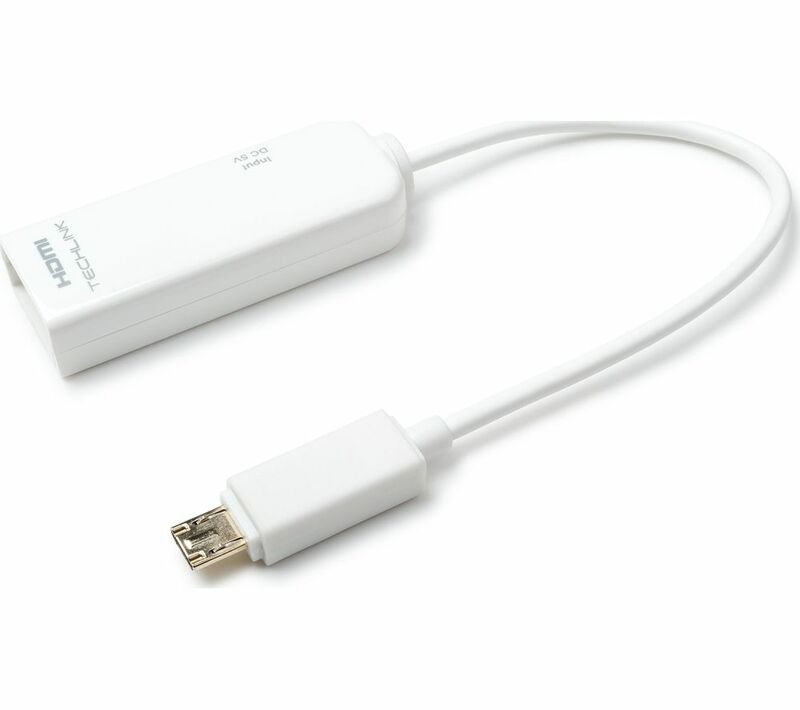 Plug compatible mobile devices into the micro USB port and connect the MHL end to a corresponding screen port. The device will mirror what's on your phone or tablet screen so you can enjoy different content on the big screen with support for Full HD 1080p resolution and 8-channel audio. Please note that you'll need a separate micro USB charging cable to power the adapter, which will also enable you to charge your device.